If there’s one scented ingredient that we are familiar with in Ayurveda, it should be sandalwood. The fragrance is heavenly and benefits aplenty. 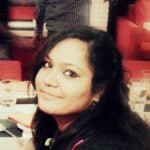 The best thing is its easy availability. But would you believe if I told you there are lot of benefits of sandalwood oil extracted from this scented wood? Read on, and you will be surprised at the sandalwood oil uses. Origin—India (other species include Santalum paniculatum from Hawaii, Santalum spicatum from Australia, and Santalum austrocaledonicum from New Caledonia). Widely known for its aroma and amazing medicinal properties, sandalwood oil is extracted via the steam distillation of the wood shreds of matured sandalwood trees (50- 80 years). It is said that older the tree, more quantity of sandalwood oil. However, the quantity is also directly proportional to the price. The growing demand is also the reason behind its high price. Now, you must be wondering what makes this ingredient so popular. Don’t worry. I am here to clarify all your doubts about this most sought after oil. Sandalwood essential oil gets all its aromatic presence because of sesquiterpene alcohols carrying alpha-santalol and beta-santalol along with alpha-trans-bergamotol and santalene. It is often seen that sandalwood oil works best when combined with some other essential oils. The goodness of sandalwood is enhanced when it gets in touch with other wonders of nature. 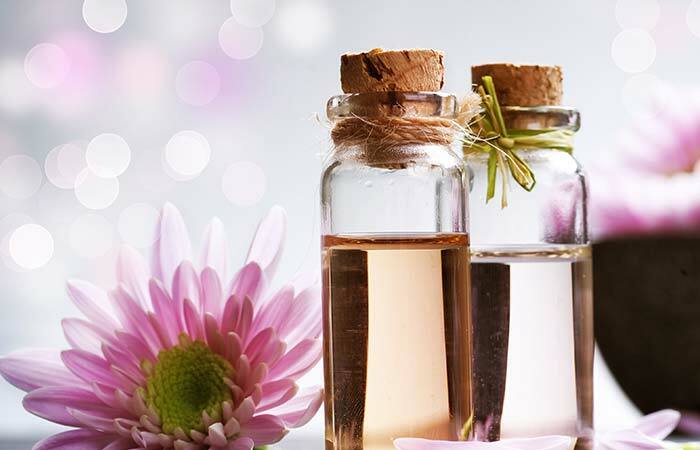 The benefit of sandalwood oil will surely augment if you add flowers like lavender, rosemary, ylang-ylang, rose, myrrh, geranium, and tulip, with sandalwood. Mixing these flowers with sandalwood oil will lend a heavenly aroma while increasing the therapeutic value of the oil. Let’s look at the amazing sandalwood oil benefits for your skin and health. 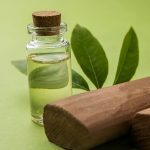 Check out here the best sandalwood oil benefits for skin care. How many times haven’t you heard your grandma recommend sandalwood paste when you complained of a skin eruption? It’s a time-tested remedy that sandalwood soothes the skin and prevents itches and rashes. Sandalwood has long been known for its skin-friendly cleansing properties. It acts as a cicatrizant and soothes your skin. If you have ugly scars, blemishes, spots or eczema on your skin, this oil can help you get rid of those quickly and prevents recurrence. It is also an effective astringent that tones your skin and rejuvenates it perfectly. People with dry skin can bring their skin back to life with the help of this essential oil (1). The best benefits of sandalwood essential oil also include skin protection. The cooling effect of this oil can bring down the itchiness of the skin, and also help get rid of infections easily. Sandalwood oil is known to reduce inflammation and eruptions of the skin (2). Its non-sticky property makes it convenient for use in summer too. You can try sandalwood oil on the itchy skin as well. You can experience the soothing effect. Sandalwood oil reduces skin itching and has a calming effect on your skin (3). The solution is also widely used for curing eczema. The antioxidants in sandalwood help fight free radicals and fight signs of premature aging like wrinkles, sagging, and dryness. Sandalwood oil is an inexpensive product you can try for long-lasting results (4). Note—If you begin using the oil soon as you notice the first signs of skin aging, it does a great deal of difference. Even the affected skin gets younger with the touch of sandalwood oil. Regular use of sandalwood reduces lines and scars on your skin. It is also useful in lightening the scars and stretch marks. 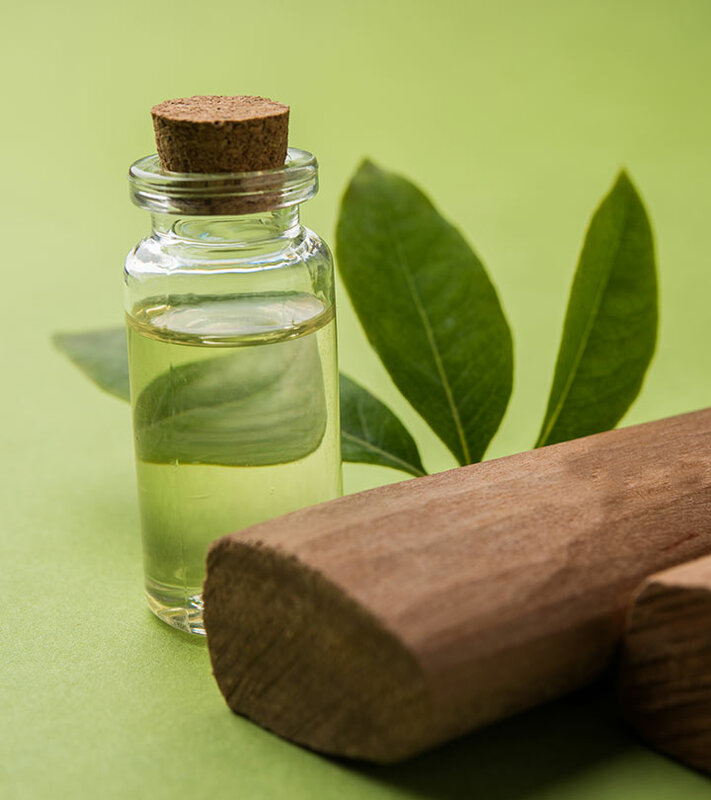 Check out here some stunning benefits of sandalwood oil for health. Be it internal or external inflammation, sandalwood oil can help treat the condition. Using sandalwood oil as a massage oil can relax the stiff muscles caused by your sedentary lifestyle. And this works not only on the external level, but also surprisingly soothes the inner muscle walls and channels in the nose and organ system. Sandalwood oil is known to be highly antispasmodic. It is because of the sedative and muscle relaxant properties of the oil. It works on your muscle fibers, nerve fibers, blood vessels, thereby relaxing them and eventually putting an end to severe spasms. sandalwood essential oil benefits also include effective treating of cough, throbbing, cramps, etc. caused by acute muscle contractions (6). Sandalwood oil is being used as a wound healer since time immemorial because of its antiseptic properties. 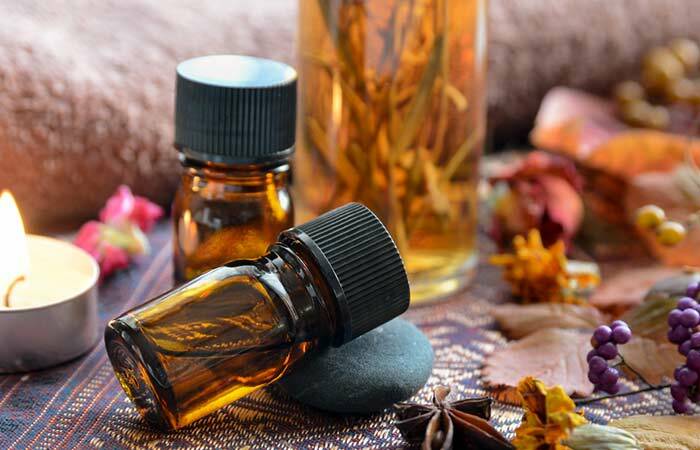 Being antimicrobial, sandalwood oil is also used as an effective antiseptic agent (7). It is used topically to prevent injuries, lesions, boils, blemishes, etc. from getting infected or gangrenous. Apart from the external applications, this essential oil can also be used internally. Add a few drops of the oil to a glass of warm milk and drink it. Regular consumption of this mixture provides protection from ulcer as well as infections developed in the throat, gullet, digestive tracts and renal tracts (8). Sandalwood oil is extremely helpful in promoting urination, thus cleaning up your kidneys. As you already know, this essential oil can curb down soreness in your excretory system and induce a cooling effect on it. Consequently, the passage of urine becomes easier, the amount of urine is increased, and the frequency of urination gets boosted considerably. In short, the oil works as a diuretic and keeps one’s renal system healthy (9). If you are suffering from hypertension or high blood pressure, sandalwood oil can benefit you a great deal. Add a few drops of sandalwood oil to your milk. Having this daily will help. Sandalwood is packed with hypotensive components and hence, can regulate your blood pressure when consumed with liquids like water or milk. Take this oil internally to cut hypertension risk (10). Does your so-called 24/7 deodorant last a day? If not, sandalwood based powder, lotions or deos can help. The beautiful aroma of sandalwood has made this essential oil an indispensable part of perfume brands (11). It is combined with skin care products, hair care products, and deodorants that help remove body odor. It also keeps you fresh and cool for long. Not all essential oils are safe for children. But when it comes to sandalwood oil, you can let your kids use it without any concern. We already told you that this oil has an excellent soothing effect on your internal organs. So you can imagine the impact it can have on your kid’s health. A sound sleep is now a luxury, thanks to our hectic lifestyles and long hours of travel. But, giving up is never the solution. Try sandalwood oil. Mix it with coconut oil and use it for a good night’s sleep. Being sedative in nature, sandalwood oil has a calming effect on your nervous system. It eliminates tension, fear, agitation, etc. by relaxing your nerves. It also relieves depressive symptoms and emotional stress (12). Is sneezing everyday disturbing your flow of work? Do you feel attacked by even the slightest change in the weather? Perhaps you are easily prone to viral infections. But, do not worry.Sandalwood oil can be your savior. Sandalwood oil is known to be effective against stubborn coughs, cold, flu or any other viral infection (13). No matter how old we get, we all want a good memory. As we age, we often find ourselves forgetting even basic things. Why don’t you try using sandalwood oil and see if it helps? Sandalwood oil stimulates your brain cells and nerves, thus increasing your concentration and memory power (14). Sandalwood oil can also play a good disinfectant (15). The distinct aroma of this oil can drive away pests as well as other microbes. Hence, it is used as a key ingredient in insect repellents, pesticides and the liquid used in evaporators for disinfecting vast areas. Mixing a few drops of this essential oil with body oil, body lotion or simple bathing water can keep your skin free from infections. Even though sandalwood oil is void of any major risk factors, it does have some side effects. Here’s what you must know about the same. It’s always advisable to use sandalwood oil along with some carrier oil. Lactating mothers and kids below five years must refrain from using this essential oil. Those with sensitive skin must do a skin patch test before using it. Apply the mix on the underside of your wrist and let it stay for 24 hours. You can use it if your skin doesn’t show any adverse reaction. Those with medical conditions like liver disorders and cancer should either avoid it altogether or use it with caution. Many of us are skeptical about essential oils available in the market. 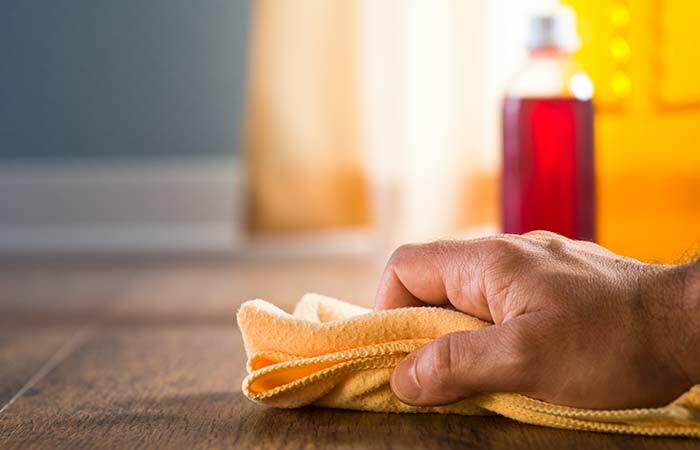 Here’s how you can make your bottle of sandalwood essential oil from the confines of your kitchen. Begin the process by preheating the microwave at 200 degrees. Now, bring in the saucepan and pour the carrier oil in it and slowly add sandalwood powder to it. Place the saucepan in the oven and cook for two to four hours. After the time is up, remove from the oven and strain the mix into a jar using cheesecloth or muslin cloth. Your sandalwood oil is ready to use. Just make sure you store it in a cool place. So, that was about sandalwood oil benefits, let’s know how to prepare sandalwood oil at home. There are many ways in which this aromatic essential oil can be used, each giving its distinct effect and advantage. Let’s look at them. 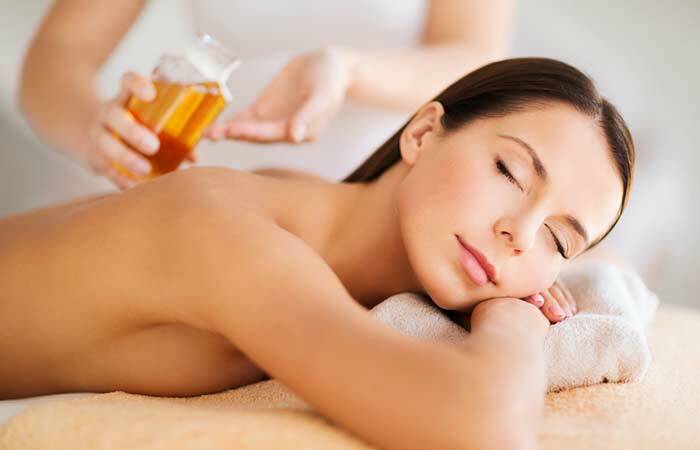 Aromatherapy—When we talk about essential oil, using them in vapor therapy is an obvious thing. So, use sandalwood oil in spas or at home to enjoy its aphrodisiac effect. You can even sprinkle some on your pillow to enjoy a good night’s sleep. Massage Oil—Blend sandalwood oil with your favorite carrier oil and massage your body to get instant relief from muscle pains. Add In Your Bath Water—Sandalwood oil can also be mixed in your bath water to help you relax so that you can have a better sleep. Ingestion—Add a few drops of sandalwood oil to your milk to get instant energy and memory booster. Use As A Gargle—Dilute sandalwood oil and gargle it to get rid of a stubborn cough and dry throat. 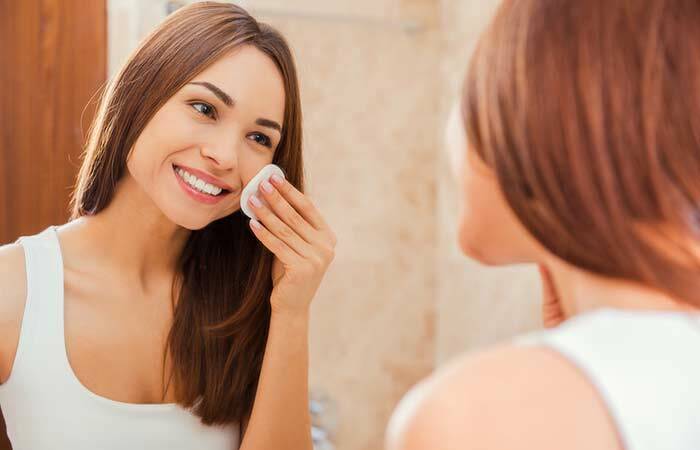 Mix In Lotions—Mix sandalwood oil in your creams and lotions to get rid of dry and itchy skin. Hope you liked our post on benefits of sandalwood oil. Have you used sandalwood oil? If yes, what do you use it for and how has it helped you? Let us know about your experience in the comments section below.